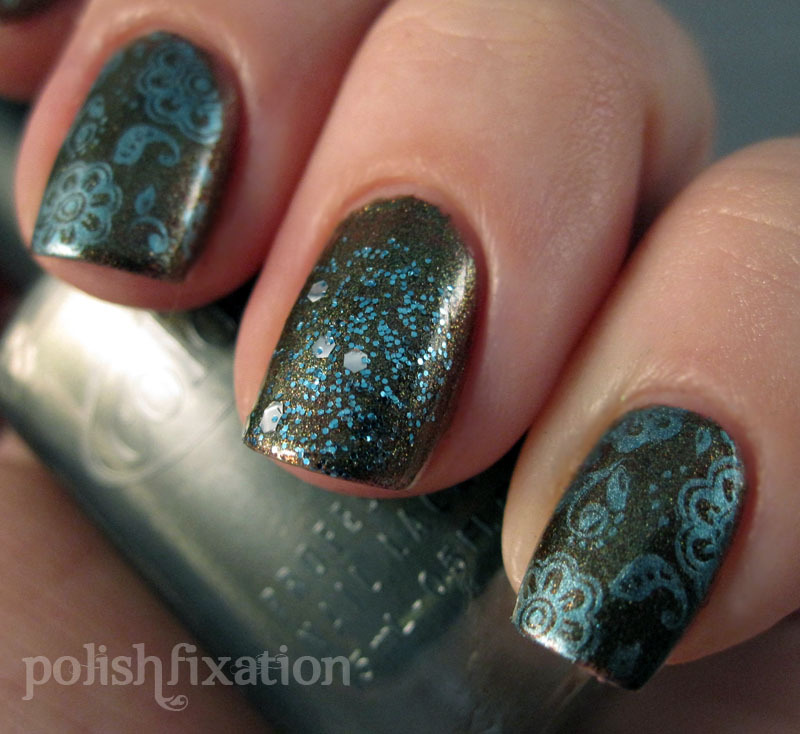 Today I have a mani for you that is one of my favorite ones I've done yet! I'd always meant to try out this color scheme for a mani and hadn't gotten around to it until now, and they really are perfect colors for fall, so it worked out great. To get this look, I started off with Color Club Nouveau Vintage, from this year's BoHo collection. Then I stamped from Konad m64 (fingers) and SH24 (thumbs) with China Glaze Adore, which seems to be becoming my go-to light blue stamping polish. Then I finished it off with a light application of OPI Gone Gonzo from the Muppets Collection. I might have to recreate this mani again sometime, maybe with a slightly different color combo, I am in love with it! 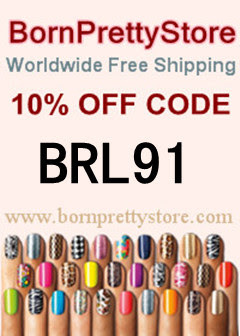 I love how the blue jumps off your nail with this! So pretty! Erika this is awesome! :) I love the colors and the print is perfect! I just ordered that Konad plate.. 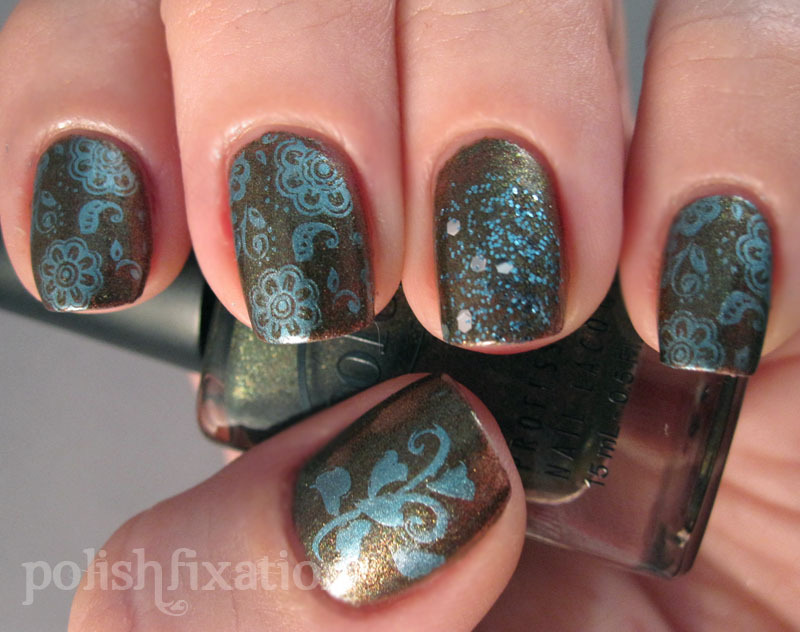 I love the flower pattern and the brown and blue together!! This is so cute! Great color combos too! What a great design! Love the colors! Perfect polishes for this design! I love the finishes and the colors together so much! Awesome! <3 And of course I love the glitter accent nail too! So pretty and clean looking!